For centuries, yellow gold wedding bands have been adopted as the emblem of marriage. Before the discovery of various treatment to pure gold to obtain another color (white, black, pink or red), there was no other alternative to yellow gold wedding bands, yellow being the natural color of this precious metal. 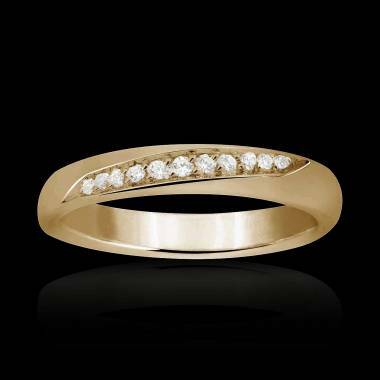 What are the reasons for choosing a yellow gold wedding band? 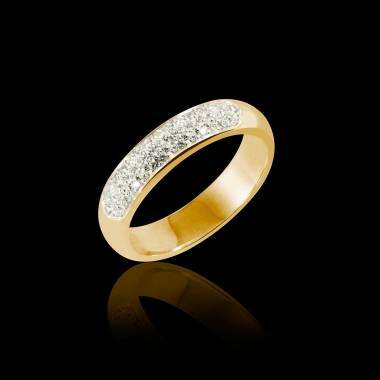 It is not only by tradition that men and women choose yellow gold wedding bands. 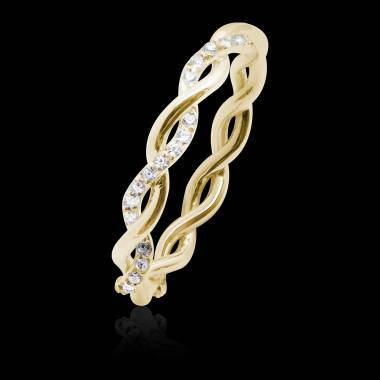 Yellow gold’s characteristics are also very appealing. It is rare, precious, shiny, solid, durable, inalterable, and yellow gold does not lose its color. For many people it is the most noble of precious metals and the worthiest to symbolize the union between two people in love. 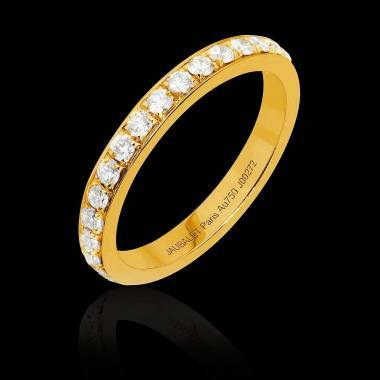 If we refer to the symbolism of yellow gold wedding bands, it is synonymous with sunrays, strength, wealth, and eternal brightness for the future newlyweds. 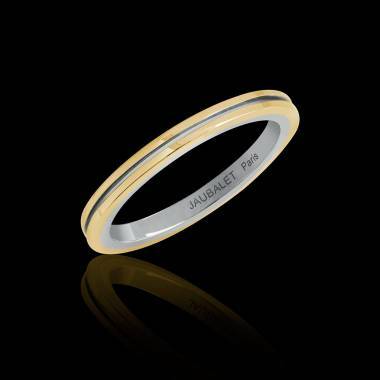 Jaubalet Paris offers a wide and diversified range of yellow gold wedding band to order directly online. Some models are simple and traditional while others are original. All of our wedding bands in our various collections can be customized according to wishes. 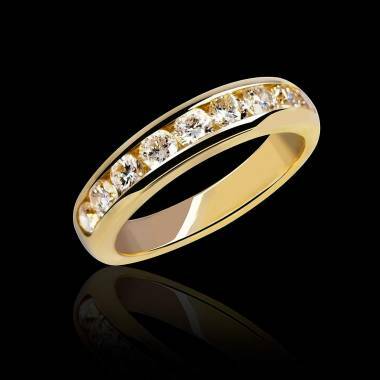 You can also custom design your yellow gold wedding band and order it online. Jaubalet guarantees all its jewelry.